Guessing how many Google searches are performed each year is a bit like guessing the speed of a domestic house cat. Sure, it’s fast, but how fast? And sure, we use Google a lot, but how much are we using it exactly? Well, Google’s search engine performed 1.2 trillion searches in 2016 alone. You can watch a real-time counter of every Google search performed by going to http://bit.ly/2vP2vg9. The speed of these queries as they roll in is startling. 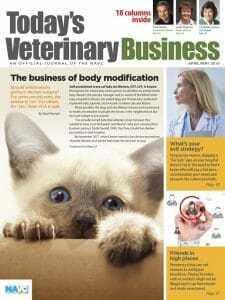 When I educate veterinary practices, I often stress the importance of keeping up with Google, whether securing positive Google reviews to safeguard your online reputation — we’ll talk about in it the future — or simply maintaining best practices for an optimized mobile website. While Google’s power can feel overwhelming at times, having a favorable ranking among Google’s search results is easier to understand and achieve than most people think. SEO, in a nutshell, means search engine optimization and refers to your website’s overall visibility and natural page rank. The higher your rank, the easier it is to get found on the web and ideally convert pet owners into clients. A large chunk of Google searches go directly to local businesses and commerce, so having the highest Google review rating and page ranking often can mean regularly securing several new clients. When you work in digital marketing, keeping up with Google is a lot like checking the weather. If you want, you can avoid keeping up with what’s coming, but by doing so you risk being caught off-guard in a downpour. By routinely thumbing through the most prominent tech blogs, in conjunction with setting up a few Google alerts, it’s easy for me to keep track of what major changes are coming. Unfortunately, some marketers focus on communicating complicated changes in Google’s latest algorithms and frighten people in the process. Google updates like Panda, Penguin, Pigeon and Payday can mean major changes for search engine indexing and what’s needed to perform well. While it’s important for me as an IT expert and digital marketer to understand the deeper implications of these changes, do you really need to understand them? After all, you’re busy running your veterinary practice and would be better off dedicating time to keeping pets healthy. That’s why I want to teach you the basics to SEO. If you learn these skills now, you’ll have them down and you can move on to what matters most: your clients and patients. The first key to SEO success has stayed the same despite numerous recent changes to Google’s algorithms. Start securing the best Google reviews possible to anchor the online search results of your business. Statistically speaking, people across all demographics gravitate toward higher-ranking businesses — four or five stars — and remain neutral or hesitant about those with one to three stars. Make sure to solicit new reviews, especially from loyal pet owners who are delighted with your services. I recommend emailing your top 25 clients and providing them with a link to your Google listing. Securing a higher ranking will help your search results and is something you can get started on today. Next, use Moz Local — www.moz.com/local — to register your practice across multiple websites and to ensure that getting found online is as easy as possible. This resource works wonders, and it makes sure your business is listed correctly across major online databases. I also encourage you to claim your veterinary practice’s listing on Google and Yelp. Use a set of naturally occurring keywords to make sure your website performs well and ranks optimally during relevant searches. Don’t try to outperform here by cramming in extra words or hiding keywords in your site. Just make sure to clearly include core details about your practice, including the city and the concentration (animal clinic, veterinary hospital, emergency veterinarian, etc.). Make sure your website is optimized for mobile. Take advantage of Google’s free Mobile-Friendly Test tool at http://bit.ly/2vPVwo1. This handy feature will run a quick check on your website. Since an increasing amount of web traffic comes from smartphones and mobile devices, this step is more important now than ever. Regularly add fresh, organic and valuable content to your website. Make sure this content naturally uses the same keywords as mentioned above and adds real value for pet owners who choose to engage it. This will serve two major functions: ensure that you keep a growing readership that visits your site for new content and give Google more ways to index your website effectively. 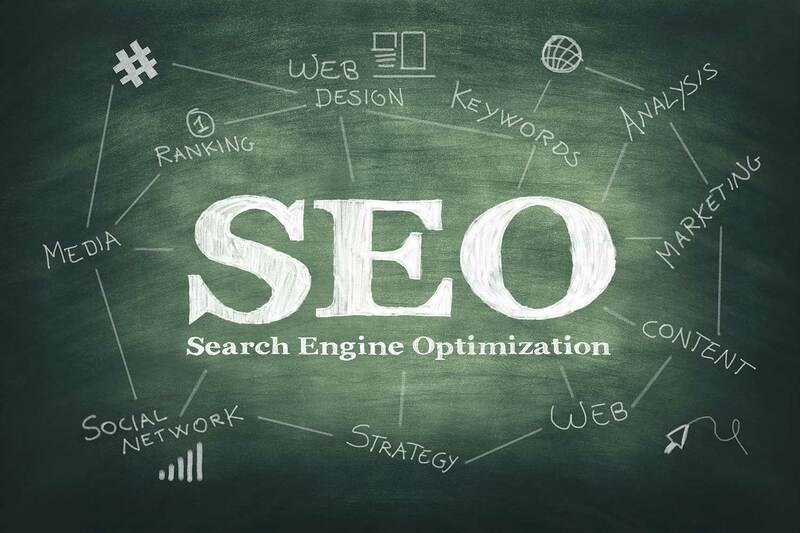 Implementing important SEO techniques to maximize online visibility is easier than most people think, though the task can appear overwhelming at first. Once you’ve started to implement these techniques, over time you’ll start to see your page ranking increase. In an age of rapid digital transformation, keeping up with the breakneck speed of change can be difficult. By staying tuned to this column, you’ll know what changes are coming and how to adapt accordingly. Socially Acceptable columnist Eric D. Garcia is an IT and digital marketing consultant who works exclusively with veterinary practices. Learn more at www.simplydonetechsolutions.com.